Is there anything that you would want to know about the house if you were buying? Has the property repeatedly changed hands? How did the agent decide on an asking price? A good agent will provide you with their justifications for the asking price, which you can then judge. Or, if you get lucky the agent might tell you that they think the seller is overvaluing the house. You should in any case visit other homes for sale nearby so you get a good idea what properties in the area sell for. See How do I know I’m not paying too much? What is the minimum price the seller will accept? What offers have they had so far? When do the sellers have to move out? Can you speak directly to the sellers? Evening drinks on that beautiful terrace will not be so pleasant if the house faces north and the sun disappeared hours ago. Or maybe you love the sun waking you up in the morning – in which case ensure you face south-east. Which rooms will you be using most; and which way do they face? Have any major works been conducted? How much is the Council Tax? And how much are utility bills in the area? Can they explain the Energy Performance Certificate? Can you try the taps? How long does it take for the water to come through? Do the taps work even? Have any of the rooms been redecorated recently? If so, why? Can you move the furniture and have a peek under the rugs? It is not unknown to hide cracks in the wall with furniture or cover up floor problems with rugs. So ensure you look thoroughly. Have there been any problems with the boiler recently? And if so, what? And when was it last replaced? How new or how sturdy are the drains and guttering? What can they tell you about the local neighbourhood? What are the schools like? What is the crime rate like? How good are transport links? Where is the nearest petrol station? While it is a good idea to see what the estate agent has to say, make sure you do some independent research as well. See How do I choose a new area to live in? The HomeOwners Alliance helps members with queries on buying their home. To see how we can help, find out more about becoming a member of the HomeOwners Alliance. Hi Tracey, so sorry to hear of the situation you find yourself in. 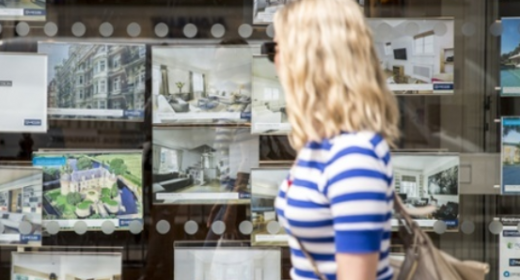 According to the industry standard, an estate agent “should take reasonable steps to satisfy yourself that the seller is entitled to instruct you and to sign on behalf of all co-sellers”. So in most cases this comes to light at an early stage. If you have appointed one, do speak with your conveyancer. Where do we stand?? We have secured a purchase but we have only just found out that the vendor co owns the property & her ex husband has not given permission to sell! We have sold our house & there are four other families who will lose out if we don’t move. Should the estate agent have found out this information from the vendor & informed us before we had our offer accepted or not! Surely the vendor can’t sell a house or which half does not belong to her??? Estate Agents have to tell the truth?? I think someone had better let them know. I can always tell when an estate agent is lying, his lips move!! I was just about to exchange on a flat but it’s come to light that the eaves storage area which is part of the property description on the estate agent’s website for the flat does not belong to the flat I am buying. It is a share of freehold flat (the property is one house divided into 3 flats) and therefore the eaves storage belongs to the landlord (which is the owners of the 3 flats in the property, who are share holders in the management company of the whole property). The eaves space can only be accessed by entering the flat I am buying and there’s only an informal agreement amongst the 3 flats that ‘my’ flat can use the storage space. How would I know if the mortgage valuation of the flat by my bank included this eaves space in their assessment of the flat or not? Do I need to clarify this with the valuers? If the valuers did include this eaves space in their valuation but it turns out the eaves doesn’t belong solely to my flat, does it therefore mean I need to get the flat re-valued to exclude the storage space and consequently go back to my vendors and give a lower offer? having skimmed over this article, I felt compelled to add a comment. I would suggest that the vast majority of agents would either lie, evade the question or would be clueless to most of the questions proposed. second, most info can be found online (where at least you are likely to get a fairer reflection and truthful answer to specific questions). most of the questions are irrelevant – which way does it face? explain the EPC?! come on…what a way to make yourself look almost as stupid as the person showing you the house! by far the most important aspect of buying a house is getting a good solicitor. many are as bad as the agents but a good one gets it done quickly and without hassle – that is the key to buying property. I am not a solicitor by the way, but i was an agent for over 10years. We are engaged in the buying process for a fully developed urban cottage in Cornwall. It has had two recent offers accepted on it that have fallen through. The first we are advised because when a full survey was done the would be buyer admittedly not familiar with this type of dwelling cried off. The second we are advised because the potential buyers chain broke. he could not sell his existing property. In both cases detailed surveys were done costing +/- £700.00 each. In terms of the legislation this site is discussing is it reasonable for the agent to refuse to tell us the content of the survey. Particularly in the light of his dutes under current legislation commented on on this website. It appears to me that where it falls apart with an older property is other than extreme issues like rot , structure issues or planning t oput a rock drummers school next door. Only the prospective buyer can judge what is or is not acceptable in the survey reports detail. Refusal by an agent to disclose what he knows seems to be the issue where and however the agent came to know? Not so? Comment please?? Lastly could I offer to buy the original surveys I mention from the no longer interested parties? hi I put an offer done on a place in Wales, that come with 3.5 acres, had surveys done etc then asked them to verify the land size, the estate agent said they can not and its what the vendor has told them. but have found out that the estate sold them the house a few years ago. I question is the land worth less and they wont say if it will or confirm or denied the size now and even had the cheek to send me a revised brochure to say acreage not the size any more, this is after I have paid out money. I know I can pull out the sale but at my loss? I would like to seek advice. My letting agents incorrectly placed my flat that they manage on the market. They sent me a letter and also a form requesting signature so that they were able to market the property. The letter was sent to an old address and so i only recieved this at the weekend. I was surporsied to see that although i never signed anything, gave no agreement on the sale or had any verbal communications that my was advertised on their website for sale. There response is this was a human error and they accept that no checking has taken place. They have offered 50 gbp compensation – does this sound fair? Jennifer, that’s quite an unnecessarily cold answer. Saida, or anyone else in that position. Its quite common to agree to a price, only to find out upon a surveyors report that the building needs work. If you’re not happy with the vendors unreasonable response to re negotiate a price based on expensive building work, then you have the option of pulling out of the deal as you haven’t signed anything. The estate agent will attempt to bully and BS you into making the purchase. Ignore them, unfortunately you can’t trust an estate agent.